This discussion has come up many times on this site on the Soil/Compost and Organic Gardening forums. When is organic matter "compost and when is it humus? "Humus is the stable, long lasting remnant of decaying organic material. It improves soil structure and increases water retention. It's nutritive qualities include trace elements and several important organic acids but do not include nitrogen or phosphorus"
"Mature compost is still organic matter and can be used when your planting instructions request it. Organic matter that hasn't decayed as far as compost shouldn't normally be used directly on plants because the nutrient balance and pH can get all out of whack as it decays (too much nitrogen in fresh manure, or nitrogen depletion as woodchips decompose) and because it may still contain toxic substances (fungal diseases, weed seeds, or toxic bacteria). You are right, humus has no nutritive value. It's also impossible to get hold of since it can't be manufactured. It also can't be produced from decaying organic matter in a reasonably pure form on any sensible timescale. Lastly, we don't know exactly what humus is chemically so while you may find stuff sold as "humus" or "humates" or something similar, its buyer beware, you really have no guarantees about what is in the bag. Humus is good because it has extremely high absorption abilities. It can hold and release water and nutrients as needed. It also improves the physical structure of soil so that it is crumbly and aerated instead of a nasty clay mess or an arid beach." "A lot of confusion is created by different uses of the words "organic" and "humus." To a scientist, an organic molecule is a molecule that contains carbon. All life is based on carbon compounds, so living and dead cells are loosely refered to as organic material, even though they also contain inorganic molecules like water. Leaves, mushrooms, trees, live rats, dead rats, fish, etc. are "organic material." "Organic gardening" is a vague term that means many things to many people. The source of the term is probably that "organic gardeners" tend to avoid adding nutrients in their inorganic form. To a soil scientist, "humus" is the organic, non-cellular, long-lasting component of soil. It is organic because it is composed of chemicals containing carbon. It is mostly extremely stable carbon compounds with no phosphorus or nitrogen. Their stable form makes them difficult to break down by microorganisms. If humic compounds had N or P, micro-oragnisms would try harder to attack them, but since they don't, they aren't worth the effort. Humus is non-cellular because everything else in the cell breaks down and gets recycled into other organisms, leaving the humus in the soil but no longer within a cell. The term "humus" gets tossed around loosely by gardeners to mean the organic material that makes soil brownish, not all of which is humus. In nature, humus accumulates in soil because it lasts for hundreds or thousands of years. (Trivia: In a typical northern deciduous forest, most of the organic material in the forest is in the soil NOT the living trees and most of the organic material in soil is humus. That's because humus hangs around for so long.) Humus often lasts in soil until a hot fire burns through the soil. "Compost" is a matter of location and planning. Anything living starts decomposing when it dies. You call it compost when you put it in a pile and WATCH it decompose. " In the strictest sense humus is made up of humic substances composed of Carbon, Oxygen, and Hydrogen. These include humic acids, fulvic acids, and humins. Some Nitrogen may be present but not in any significant quantity. Plants obtain those first three elements by means other than soil so "pure" humus has no significant nutritive value. Mature compost is not pure humus, it also contains carbohydrates, lipids, and amino acids, not to mention living organisms feeding on the remaining undecomposed or partially decomposed material (can't expect them to eat it all at once!). Many of these contain Nitrogen that is released gradually over time. Not all organic matter in compost will be at the same stage of decomposition at any given time. Humus or even soil organic matter in general isn't perfect soil. 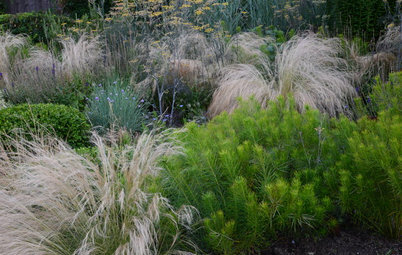 There is no such thing as the perfect soil because needs of plants vary. Generally a good soil contains a combination of sand, silt, clay and organic matter. For the purposes of gardening, agriculture, and even some soil science humus is considered to be synonymous with soil organic matter. This is the non-mineral portion of soil. So when a gardener talks about adding humus to soil they mean leaf mold or compost. When scientists talk about humus they have big numbers and formulas in their heads." "The definitional problem here is actually quite easy to resolve. It is the standard distinction between colloquial usage and scientific usage. Colloquially, if you add mature compost, or even immature compost, to soil, the resulting mix is humus. The same can be said of adding lemon juice to crushed sesame seeds, but that is a different story. When actually studying soil, however, it is important to make sure that everyone is on the same page with their definintions, and that those definitions offer enough destinctions with other terms to provide a useful purpose, or else why use them. To this end, soil scientists break up the components of soil into categories. The portion that is the stable organic component is then refered to as humus, the portion that it is sand, clay, and related particles is silicates, the OM that is still decaying is, surprisingly, decaying organic matter. A simple way to look at this from the scientists perspective is to think of potting mix made from 1/3 peat, 1/3 compost, 1/3 sand or perlite. Peat is pretty much in its final state. It may have been that way for thousands of years, and may continue to be. Peat is humus. The compost, even if mature, is still breaking down and supplying nutrients. It is the decaying OM. The sand is the silicates. Normal soil has these fractions mixed together to differing degrees, and to make up for local deficiencies in one or another based on the types of plants you are growing, you ammend your soil. The benefit of compost is thus two-fold. First, it has the immediate effect of adding nutrients and bacterial components that aid in soil conditioning. Second, as the seasons progress, it eventually converts to humus and increases your humus count. Thus compost, over several seasons, can often be used by itself for growing, but there are some exceptions. Cacti, for instance, will not appreciate a soil made exclusively from compost and its humic derivatives. Without significant silicates or their equivalent, they will die. This laid the ground work for the dismantling of the concept of vitalism in chemistry, but not in the popular mind, and the idea still permeates modern society and gardening lore. Chemisty then split into two branches, biochemistry, which studied the actual chemistry of life, and organic chemistry, which studied the properties and interactions of carbon compounds. When many people say "organic" they really mean "biologic". This sloppiness is important, as many highly toxic substances are "organic," and mistaken beliefs that organic compounds are safe, just because they are biological, is a natural by-product of clinging to vitalism. Organic matter - stuff that came from biological sources (should be biological matter. Diamonds and graphite don't decompose!) 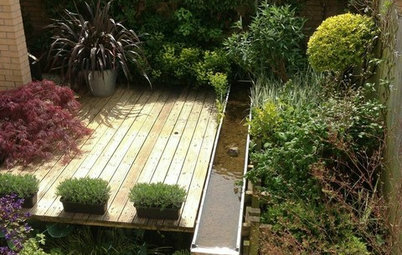 This includes humus, mature compost, immature compost, freshly cut plants, live plants, etc. Humus - (soil science) that portion of the soil that has fully broken down and is thus stable. This stability is important because it allows you to remove it from consideration in a lot of investigations, and this is why soil sciences define it this way. This, incidentally, is also why its constituents have not been subjected to rigorous scientific investigation. It is not that it is somehow mysterious or has magical properties that elude investigation, it is just that it is only recently that anyone has really bothered to think about applying modern analytical techniques to this fraction of the soil. Contrary to common belief, a large number of its constituents ARE known. Their relative proportions vary from implementation to implementation, however, and thus no simple answer is really forthcoming as to "what humus is," as it is a dynamic mix of substances. Compost - organic matter in a purposeful state of partial decomposition. The purposeful part is important. Dead stuff on the ground is NOT compost, just decaying orgainc matter. It is the controlled, or semi-controlled conditions that make it compost. Immature Compost - compost that has not undergone enough decomposition to be of maximal benefit. This definition is thus use-specific, but usually implies insufficient pathogen destruction, lack of friability, poor moisture retention, active generation of metabolic gasses. Primarily still in bacterial stage of decomposition. Mature Compost - compost that has decomposed to the point of maximal usefulness. Usually in the fungal/actinomycete stage. So all mature compost is organic matter, but not all organic matter is mature compost. 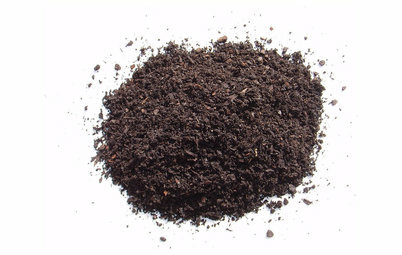 If what you are after is soil conditinoing alone, then the terms humus and mature compost are all but interchangeable." "One more important attribute of humus should be listed, in addition to improving soil structure (or texture) and water retention. Humus also has a high cation exchange capacity, which means it acts as a veritable storehouse for plant nutrients, something that can be especially important for those with sandy soils." Are All Animal Manures Safe for an Organic Garden ?